Stock market news today, June 13, 2014: The conflict in Iraq weighed on Dow Jones futures Friday. S&P 500 futures were also down, while Nasdaq Composite futures were flat. Welcome to the Board: On Thursday, the U.S. Senate confirmed Stanley Fischer as vice chairman of the Federal Reserve's board of governors. Fischer, who was the former governor of the Bank of Israel and Chief Economist of the World Bank, follows Janet Yellen after she became Fed Chairwoman in February. The Senate also confirmed Lael Brainard to the Fed's board and confirmed Jerome Powell for another term. There will be two more nominations to fill additional vacancies. A Duo-Poly Unfolds: While the deal still awaits regulatory approval, AT&T Inc. (NYSE: T) argues that its $48 billion deal for DIRECTV (Nasdaq: DTV) will allow the company to compete with the coming merger between Comcast Corp. (Nasdaq: CMCSA) and Time Warner Cable Inc. (NYSE: TWC). The combination of the phone provider and satellite giant will allow them to customize bundled services to create a mega-communications firm. The IPO of the Year: As it prepares to file its initial public offering, Alibaba Group Holding Ltd. is planning to provide an immense amount of detail about its business in regulatory filings, according to The Wall Street Journal. The Internet giant aims to reduce investor concerns about secrecy and a lack of transparency within the company. Alibaba will disclose the 28 partners with board nomination powers, in addition to financial performance metrics within its multiple business divisions. 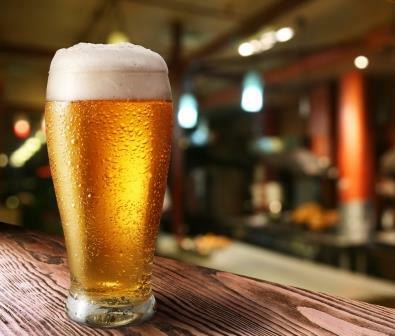 What's in Your Beer: In a surprising move, Anheuser-Busch Inbev SA (NYSE ADR: BUD) unveiled the ingredients of Budweiser and Bud Light for the first time. The move comes after a popular food blogger began an online petition that asked brewers to list their ingredients. While there is no law requiring breweries to list their ingredients, the company acknowledged that the shift in health and wellness drove their decision. Meanwhile, multiple breweries that have begun listing their ingredients have provided some surprising contents, including airplane deicing liquid and fish bladders.